If you dropped Pale Fire, Fictions, and A Modest Proposal into a blender, you might get something roughly akin to The Third Policeman once the blades had stopped whirring — but only just so. O’Brien’s work somehow manages to surpass this puréed synthesis in its hilarity, inventiveness, biting sarcasm, and faux erudition. 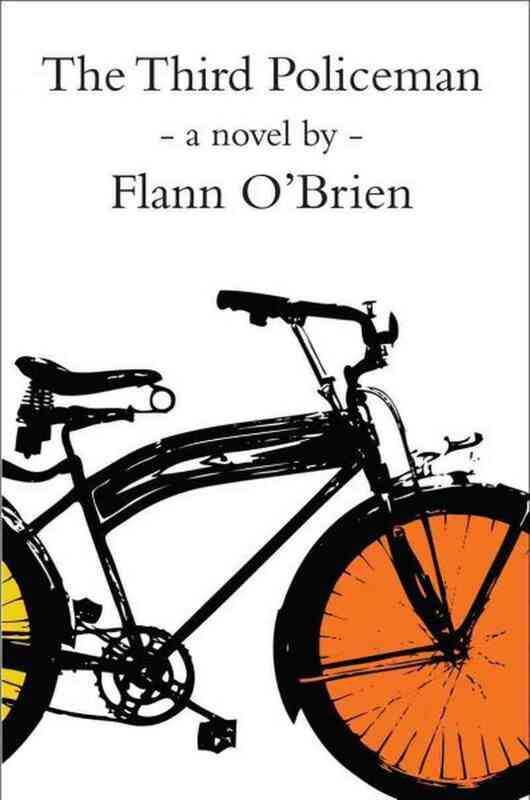 Brian O’Nolan (the writer behind the Flann O’Brien pen name) strikes me as being the worst kind of savant, the kind that knows he’s got you over a barrel and is going to keep you there while he messes with you. He knows more languages than you do, his vocabulary is more expansive; he’s cleverer than Swift, clearer than Joyce, and crankier than Bernhard. For some reason, he possesses a bizarrely adept understanding of physics that he’ll creatively employ in his narratives to, um, upend all the laws of physics. Like a verbose scholar, he’ll pile into his manuscripts footnote after footnote in reference to entire bodies of knowledge that don’t really exist, but appear eminently plausible at first blush. O’Nolan will wow you with his hilarious asides, wordplays, metaphors, and puns while simultaneously drawing into question your ability to adequately grasp the other 80% of his jokes that flew just above your intellectual capacity. He will induce in you such irreconcilable feelings as: pleasant irritation, comfortable terror, gut-wrenching elation, and novel nostalgia. You’ll find yourself in heaven while reading his account of hell and you’ll be sputtering in indignation when he draws his narrative up short at a scant 200 pages. Yes, O’Nolan was the worst kind of savant. The kind that wrote great stories by destroying most of the conventions of storytelling. He got the ball rolling with his infamous At Swim-Two-Birds, a labyrinthine piece of meta-fiction in which the characters of the novel rise up against their author, make him stand trial, and then murder him. Told in kaleidoscopic fashion with swirling, punchy annotations, O’Nolan’s first novel draws heavily on mythical characters from Irish folklore and actual characters from Ireland’s past. Deemed complex and controversial upon its publication, At Swim-Two-Birds opened the door for O’Nolan’s more focused and subtle (but still searing and revolutionary) The Third Policeman. While less heterodox in its structure, Policeman is considerably more disturbing in its perversion of logic, morality, and natural law. In it, O’Nolan cryptically paints a portrait of a hellish afterlife where an anonymous narrator must endlessly roam without clear purpose or aim. Despite its lack of fire and brimstone, the narrator is tormented on a much more fundamental and insidious level: the intellectual or, put differently, the philosophical. After the challenge of selling At Swim-Two-Birds to the reading public, O’Nolan’s publisher declined to publish The Third Policeman, due to its content and method of presentation. O’Nolan took the criticism to heart and reread his manuscript in great detail. After completing it, he was so troubled that he hid it away and lied to his friends about its whereabouts. It was never published until after his death in 1966. But the book is only troubling in the sense that it was one of the first major works to break with the realist narrative tradition that was still generally in style around the time of its composition. Indeed, many critics have hailed The Third Policeman as one of the very first major works of post-modernism. Lest the term scare you, let me assure you that we aren’t talking about the post-modernism of, say, Joyce here (although O’Nolan’s detractors tend to belittle him as a watered-down version of Joyce). Rather than tortuous stream-of-consciousness narration, Policeman is instead predicated on comparatively straightforward observations of a landscape ungoverned by reason; rather than self-indulgent literary and linguistic references, Policeman is instead populated with erudite witticisms and obtuse musings that exist by chance more than by design. After all, when nothing is supposed to — strictly speaking — make sense, then you can get away with just about anything. What this affords O’Nolan, then, is the room he needs to take the narrative out of the realist tradition and into the realm of high parody (or, perhaps, the absurd). His narrator is something of an amoral autodidact who labors intensively on a scholarly manuscript about the life and works of a fictitious physicist-polymath (de Selby) whose bizarre deductions about the powers of water, the origins of sunset, and the utility of mirrors inform many of the narrator’s observations. Although many scholars have previously tried to tackle the intellectual hodgepodge that is de Selby’s scholastic output, not a single one of them can come to terms with its many contradictions. This leads these scholars to openly challenge one another’s interpretations in peer-reviewed journals, spite one another in popular newspapers, and — eventually — to challenge one another to duels and public debates. The narrator of The Third Policeman, then, comes to us with the intent of synthesizing the work of the impossibly un-synthesized viewpoints of the eminently un-synthesize-able de Selby. The task is as absurd as the narrator’s subsequent predicaments. No one will read such a book, no publisher will pay to have it printed. Our narrator casts about for a get-rich-quick scheme that will endow him with the resources he’ll require to self-publish the book. Enter the motive for a desperate action. Enter, as well, the narrator’s seedy acquaintance who will push him toward said desperate action. Enter, finally, an elderly, helpless, and hapless neighbor who also happens to be rich. One afternoon, the narrator and his seedy acquaintance murder the old guy, bury his treasure in an abandoned house until the buzz about the murder dies down, and wait out a number of weeks before returning to the house to claim their prize. When they do, the narrator goes in first, bends down, and — presumably — is in turn murdered by his own accomplice. The color scheme changes, the temperature cools, the sun sets, and the narrator appears to be in a sort of afterlife. In somewhat rapid succession, things get out of hand: the narrator is introduced to a previously-absent internal voice whom he presumes is a manifestation of his soul, he encounters the ghost of the elderly man he earlier murdered, he wanders a bit across a bleak landscape before arriving at a strange two-dimensional police station, he encounters the first policeman (Pluck) and the second policeman (MacCruiskeen), he realizes that he is now a part of a world where the only thing that anyone can think about is the bicycle, he is found guilty of a theft by virtue of the actual culprit’s absence, and so on. This middle section of the novel generally follows the narrator around as he navigates various minor predicaments in the company of either Pluck or MacCruiskeen. The three characters have hilarious conversations about physical and legal laws, the benefits of bicycling, and the several small inventions that Pluck and MacCruiskeen have concocted in their boredom while staffing the police station. Vague mention is made of the third policeman. Vague answers are given to direct questions. As hard as the narrator will try, he is unable to penetrate the deeply bizarre logic (or illogic) of the policemen’s existence. And with the scattershot musings of de Selby serving as his intellectual lodestone, he’s even more lost. When we finally encounter the “third policeman” of the book’s title, he turns out to be something of nincompoop demigod, an unsettlingly benign presence who is, nevertheless, pulling all the strings that govern the narrator’s hell. The third policeman directs the narrator back along the rode that leads to the house he abandoned while he was alive. When he arrives, he realizes that many years have passed in his absence and his old seedy accomplice has married and borne children. When the accomplice sees him, he behaves as if he’s seen a ghost and goes into cardiac arrest. The two of them walk back down the road to the police station, where they engage in the same observations and conversations with Pluck and MacCruiskeen as the narrator did some 100 pages prior. You realize suddenly that this is hell: a slow, meaningless repetitiveness of the absurd. You cannot run and you cannot make sense of it. I loved this novel and I loved At Swim-Two-Birds as well. I believe that O’Nolan should stand alongside Joyce and Yeats as the great luminaries in modern Irish literature. I’d highly recommend The Third Policeman to anyone who loves a quick and inventive read that relies heavily on empirically-minded treatments of bizarre occurrences like that which you’d find in Borges or, at times, Nabokov.